This book was designed, compiled and published by Chris Gill for MCWorldEnt. Entirely in John’s own words. Transcribed from the faded diaries, worn from continued travelling through the Western Desert “the Blue” and continual packing and unpacking as he advanced, retreated, recovered from illness, and advanced again. Written during 1941 - 1945. A brief introduction to John and his family. 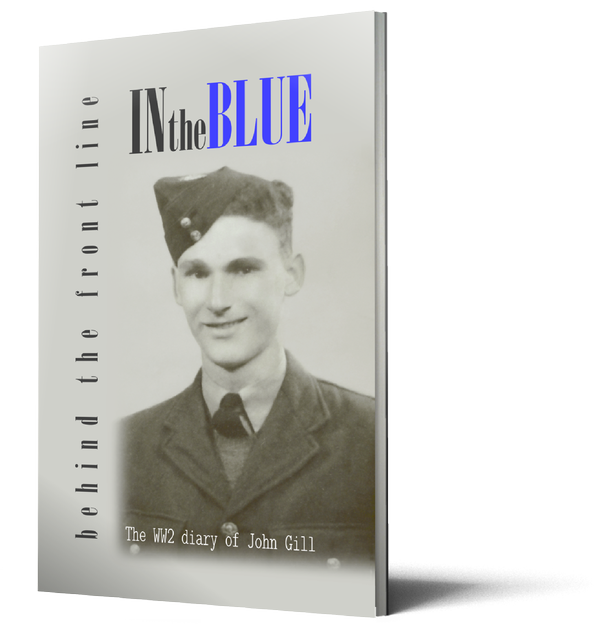 For those too young to remember, and those who who may have forgotten, a brief timeline of the start of WW2 and how John entered the RAF. A short summary of life after the war and where John lived out his life. A downloadable ePUB is available for direct download. It is also available as a full pdf. Download one or both for the same price. Use the “Buy Now” button. War Diary of John Gill. This little book is a simple transcript from John's own faded hand written diaries that went unread for over 60 years, now made into a book so that one small story amongst the many will not be forgotten. 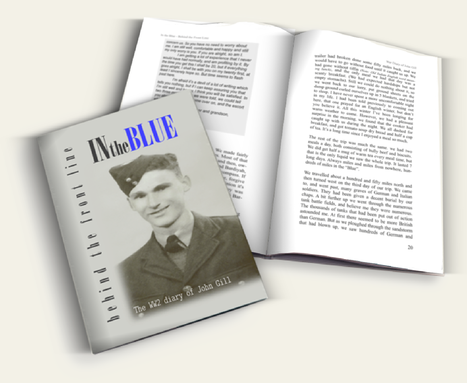 John Gill's war diary is not about battles, heroism or conflict. It is a simple story of one young man's war. He started out with so much enthusiasm and excitement to document what he probably imagined, despite the obvious dangers, to be an adventure. None of us can totally imagine the horrors of war without having experienced it, and youth can often lead to a degree of naivety especially in that era before mass media and modern systems of communication. These rather tattered little diaries spent many years at the bottom of a cupboard gathering dust with other inherited artefacts. They would probably have remained there if not for the curiosity of a loving daughter who having asked to see them proceeded to struggle through the faded text. She found them enthralling and interesting enough to copy into a more legible form. From those transcribed texts this book was compiled, it may be less than 100 pages but that is perhaps part of its charm. Once begun it is hard to put down, and we feel we know the man by the time we get to the end. It may not be a masterpiece of literature but it is well worth reading. Thanks to Linda the diaries will not be forgotten.